Ocho Rios is located on the central north shore of Jamaica near Reggae Beach and Rio Nuevo Bay that is a popular port destination for many Western Caribbean cruises. The island itself is lush and exotic and known for its relaxed and friendly way of life. There are many things to do in Ocho Rios once your ship comes in to port, however many of them may be too challenging for young children or too long to be practical with little ones in tow. Luckily there are many Ocho Rios shore excursions that are family friendly and offer safe and fun ways to explore the northern shore of the island. While waterfalls swimming and zip lining through the jungle are available for adventure seekers, many Ocho Rios shore excursions exist that take advantage of the natural beauty and wealth of history in Jamaica at a pace that is well suited for families. We put together a list of the best five to choose from to help you get the most out of your time ported in Ocho Rios. 1. Drive Through Fern Gully: Although normally included in larger Ocho Rios shore excursions, the rainforest of Fern Gully can be explored by car on its own, transporting guests to a different place altogether where verdant foliage (over two hundred fern species) and exotic wildlife can be witnessed firsthand. The road that the eco tours follow along is a dried up river that once coursed along through Fern Gully, and it is a quiet and peaceful ride that provides an air conditioned way to see the sights on these jungle tours. 2. 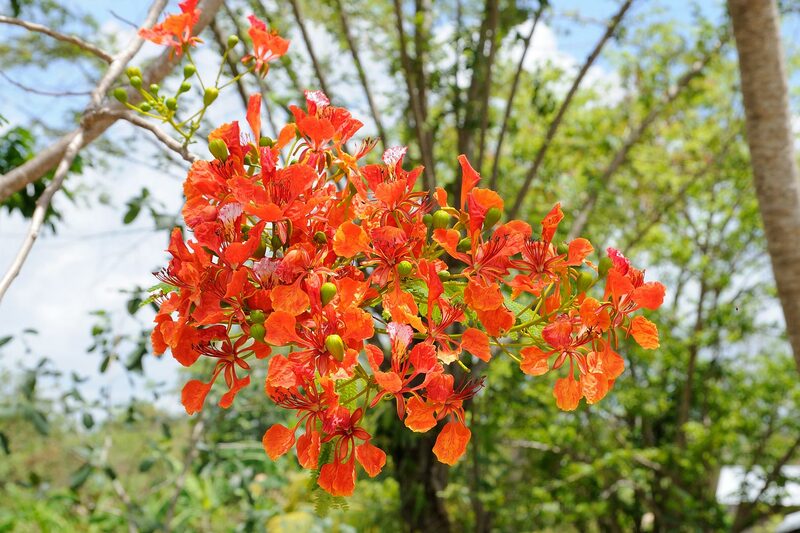 Parks and Gardens: There are numerous natural wonders located just minutes from the port, and guests can book Ocho Rios shore excursions that take them to numerous stops along the way or pick just one that really piques their interests. Some good choices are the Shaw Park Gardens, which includes 25 gorgeous acres of local trees and exotic plants. From there, it is worth checking out the Coyaba River Gardens, a very popular stop on many Ocho Rios shore excursions. Here, cultural attractions combine with natural wonders like small rivers and gurgling streams along with the area’s centerpiece, a lush water garden. But, for those that are not interested in venturing too far from the port or spending the money to book Ocho Rios Jamaica excursions, Turtle Park is a mere ten minutes from port and offers the best of the Jamaican environment without straying too far from the docks. 3. Cave Tour: If you are sick and tired of brightly colored flowers and clear, rushing waterfalls then perhaps you may want to consider taking in some of Jamaica’s other popular natural wonders. Caves made of limestone and featuring impressive rock formations are a big tourist attraction here, and the Green Grotto caves are among the most popular. Children may complain about yet another nature tour, but there is excitement lurking in these caves that may make them think twice about skipping these Ocho Rios shore excursions. The caves are home to an impressive number of bats, creatures that aren’t always easy to find in their damp and dark preferred living environments. 4. Ocho Rios Pottery Art Gallery: Local crafts and handiwork make for some of the best souvenirs to take home from family cruises, and an abundance of them can be found at the art gallery in Ocho Rios. Not only is shopping encouraged, the real allure here is that guests can learn how all of the beautiful pottery on the island is made. Many Ocho Rios shore excursions that include a stop at the art gallery also include other destinations for more shopping and a chance to grab a bite to eat or two. It is a slow paced, educational way to sample some of the local life in Jamaica. 5. Prospect Plantation: In general, aside from a jungle like environment and casual way of life, there is one more thing that the island of Jamaica is known for, and that is its impressive historical real estate. Many great houses can be found on the island, but some boast stories and a history all their own that make them stand out from the rows of massive mansions popularized on many Ocho Rios shore excursions. The Prospect Plantation is one such stop and guests can delight in the views of the grounds aboard a jitney, or catch stunning views of the white river. Horseback rides are also available here, but children may find something else here that makes the Prospect Plantation a standout among Ocho Rios shore excursions. Butterflies gather here and they can be found in the property’s aviary, a fluttery and brightly colored delight that little ones can not get enough of.